No alcohol or drugs of any kind were consumed before the title of today’s post was written. In fact it is an honest evaluation of the past few days, and the week to come. This morning some long overdue rain showers swept through Kingman, along with a couple of snow flurries. This was just a few days after I began servicing the “swamp” cooler on a beautiful 85-degree afternoon. The storms come mere days before the beginning of May, and what the weather service is predicting will be our first 90-degree day. When the week started I had a relatively light schedule for at least ten days that included an array of Route 66 Fun Run related activities that would be shared with friends this weekend. The weekly marketing meeting with the management at Ramada Kingman, a press conference that accompanied the lighting of the new Beale Celebrations neon sign, and serving as a guide for Peter Campbell McBride of the UK Route 66 Association, and the creation of some new dispatches for the free subscription service Updates From Jim Hinckley’s America were also on that schedule. Somewhere between Monday morning and today, the slow pace of the week was kicked into high gear and dropped into overdrive. Near the summit of cloud shrouded Olympus where my publishers reside, the decision was made to fast track my latest book. So, on Tuesday morning I received the manuscript via email with a respectful request to, if at all possible, complete evaluation of the edited work on or before May 10. Meanwhile, somewhere in the shadowed land of conspiracies, the editors assigned to work on the revised edition of Backroads of Arizona completed their work, and forwarded the manuscript with a nice little note asking that, if possible, I complete evaluation and write a few additional captions before May 7. Then there was a long list of projects with time sensitive deadlines that required immediate attention, unless I could address them sooner, that came out of the Ramada marketing meeting. Meanwhile, the report on Kingman developments that is to be presented at the Route 66 economic development symposium in Barstow on May 13th is far from being complete. Likewise with the PowerPoint presentation for the event at Grand Canyon Caverns, and at the Route 66 Festival in Holbrook. As the snowball began picking up speed on its downward decent, amazingly the news that the city of Kingman was funding expenses for attendance of the European Route 66 Festival in Germany was spread far and wide; more than a dozen newspapers at last count as well as radio programs in Tucumcari and television reports in Phoenix and Chicago. In turn this led to a number of requests for interviews about the pending trip, the international interest in Route 66, and the city of Kingman’s initiatives for harnessing the resurgent interest in Route 66 as a catalyst for development. 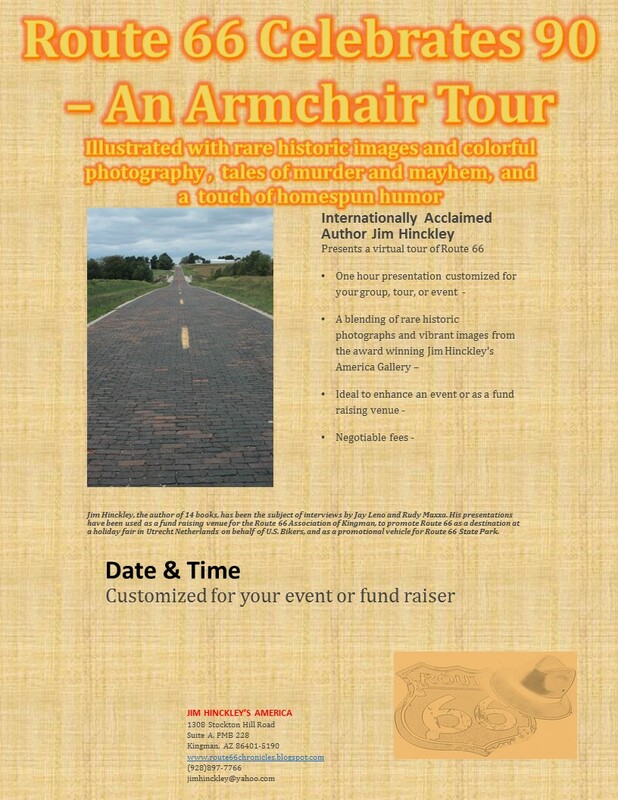 Meanwhile, I fielded an increasing number of requests pertaining to my availability to make a presentation, my Armchair Tour of Route 66, a virtual tour of this storied old highway from Chicago to Santa Monica, and through time. If I can confirm a few of these it will be a most exciting season filled with travel in late summer and into the fall. As all of this was taking place, in the land where time seemed to stand still and in the historic district it was always half past midnight, a strong, passionate, and visionary city government severed the restraints and in the blink of eye it appeared as though twenty years of progress was made in mere weeks. 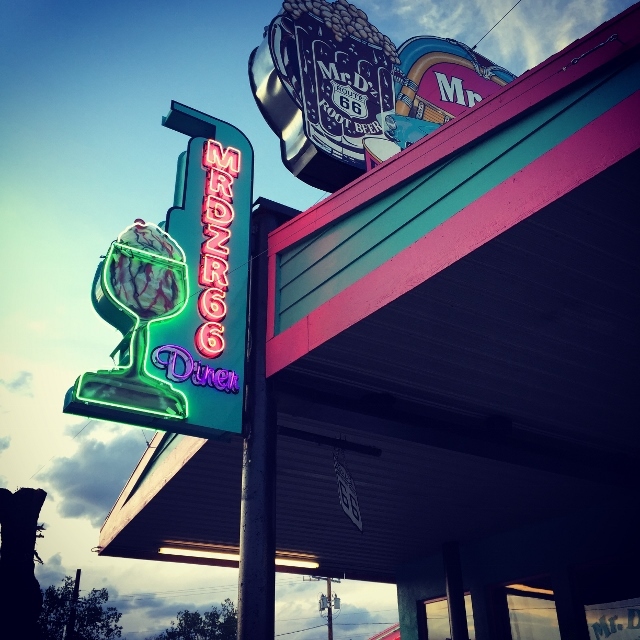 In addition to the new signage at Beale Celebrations, a neon sign was added to the world famous Mr. D’z Route 66 Diner, Beale Street Brews coffee shop opened, and the investors behind the Beale Celebrations project announced the purchase of several additional buildings in the historic business district. 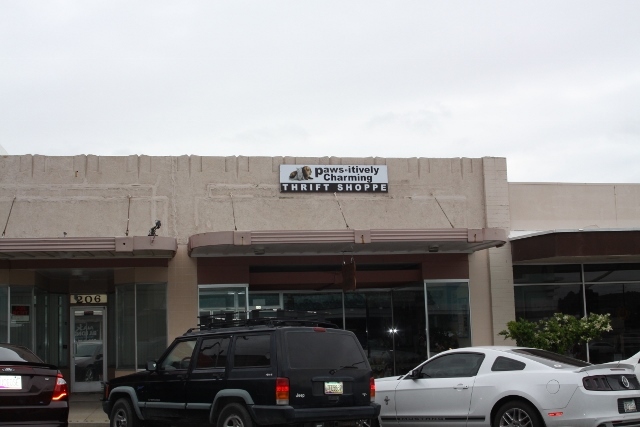 The Route 66 Association of Kingman working with Legacy Signs began funding creation of new signage for thrift stores and non-profits. The announcement was made that several additional neon signs would be added to the streetscape in coming weeks. A number of new businesses have opened, and others are scheduled to open in mere weeks. As I try to cover developments in the Kingman area all of this kept me quite busy, very distracted, and extremely excited. So, as you can see, the title for this post is rather fitting, as strange as it may seem.